Work has recently been completed on a residential extension in the market town of Thame. 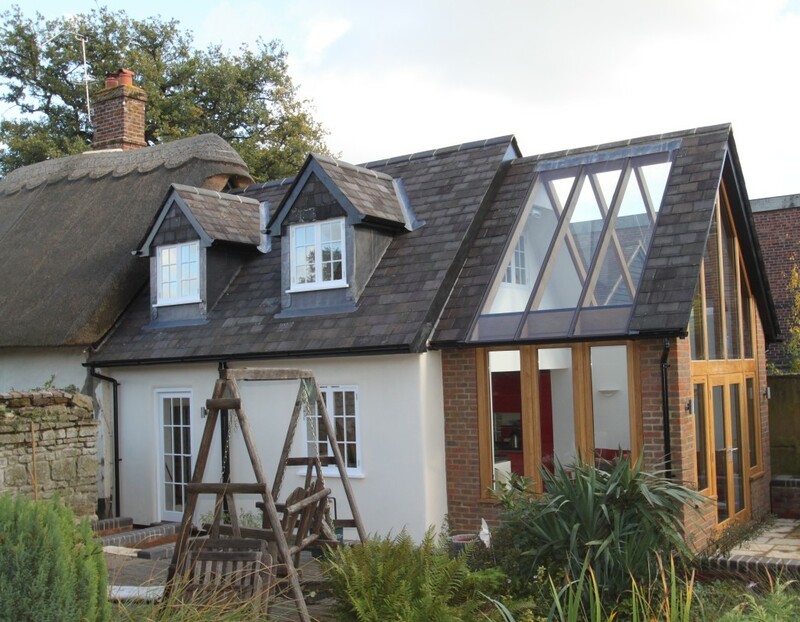 Our role in the project was to design and specify a sympathetic extension that complied with strict planning requirements, as the thatched cottage is in a Conservation Area and is also Grade II Listed. The small two bedroomed cottage has lots of character and period features, but was lacking a modern kitchen or living space. We used our design expertise and planning knowledge to best effect. This included seeking pre-application planning advice in order to discover what scale of extension would be acceptable within the context of the existing house and garden. Our new design included a modest two storey section that was subservient to the main property, but had the addition of a timber and slate conservatory / garden room to the rear to provide extra living space. This feature allows plenty of natural light to flood in. Some internal alterations (such as new conservation-grade windows) were also designed to upgrade the original cottage. The whole project was specified by closely following conservation guidelines, and is consequently harmonious with the original building.